Hi!! I joined the page just now, and am looking for info to set up a vivarium (tortoise) with frogs. I live in Hyderabad and would love it if there is someone who can guide about suppliers etc. I have seen a pond nearby where there are frogs (not toads) and plan to nick them once I have a setup. I'm open to a pond too, but am worried about birds getting them. Advice pls. paddoop wrote: Hi!! I joined the page just now, and am looking for info to set up a vivarium (tortoise) with frogs. I live in Hyderabad and would love it if there is someone who can guide about suppliers etc. If you want to keep frogs or toads, you have to start a close system, humidity, controlled temperature and continuous supply of live food. Poison Dart Frogs: Most beautiful frogs, they looks like as gems. But unluckily not available openly in India. They are very expensive. Come to know that several times, they available in Mumbai for sell. Fire Belly Toad: Available in several stores of Mumbai. Not too much expensive. 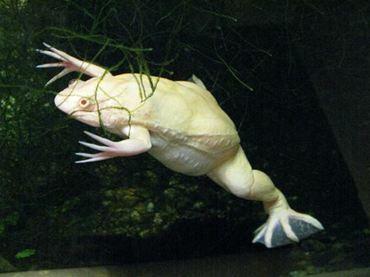 African white clawed frog: Another option. Not too much attractive and beautiful. You can also keep crabs. Live food will be a problem. So frogs are out. And my friends says frogs will escape, even through a small gap. So, only tortoises for now. Got to research a vivarium now. Thanks. paddoop wrote: Live food will be a problem. So frogs are out. And my friends says frogs will escape, even through a small gap. So, only tortoises for now. Got to research a vivarium now. Thanks. You can also go for crabs but again you need a closed setup. Does your friend keeping frog? We can arrange you products you need for vivarium. Infact we have lot of products in stock . xargar wrote: We can arrange you products you need for vivarium. No live stocks are with us as of now .We are trying to get on them soon. Plants and mosses can be provided. What ideal setup you suggest for vivaroum for tortoise ? ?